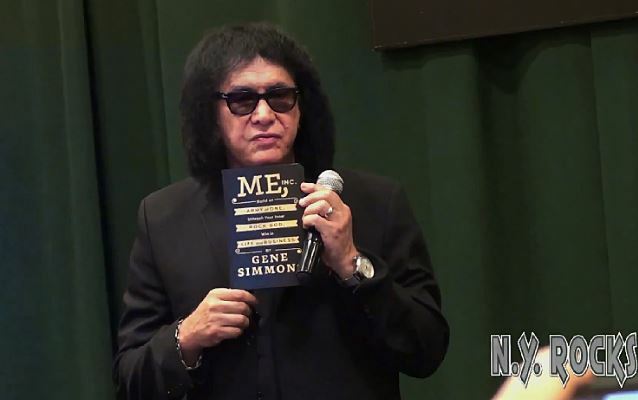 New York Rocks TV host/producer Phil Fiumano has uploaded video footage of KISS bassist/vocalist Gene Simmons' October 21 appearance at Barnes & Noble in New York City for a signing session of Simmons' new book, "Me, Inc.: Build An Army Of One, Unleash Your Inner Rock God, Win In Life And Business". Check out the report below. 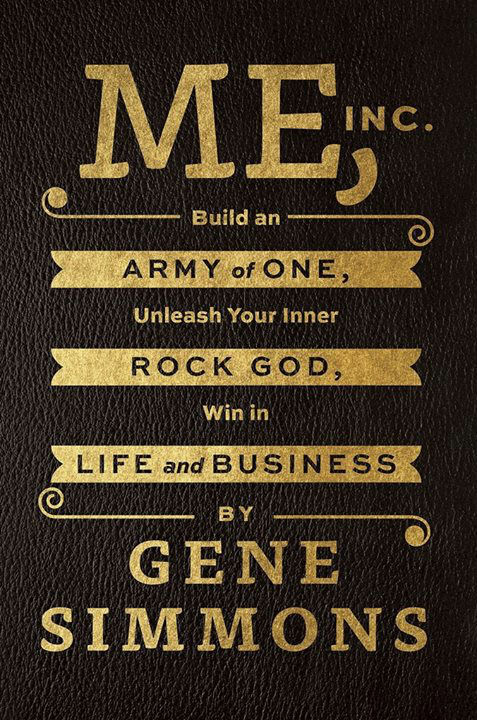 Official book description: "The quintessential self-made man, master of brand identity, New York Times bestselling author, and award-winning executive — KISS' Gene Simmons —shares his manifesto for business success. "KISS did not become one of the most successful rock bands in history by accident. Long before they first took the stage, Gene Simmons and Paul Stanley had a clear-cut operating plan for their business. Over the past forty years, KISS has sold over 100 million CDs and DVDs worldwide and manages over 3,000 licensed merchandise items. In addition to KISS, Simmons' lucrative ventures include two hit reality shows, a professional sports team, a restaurant chain, and a record company. A recipient of the Forbes lifetime achievement award, this brilliant executive runs all of his businesses on his own — no personal assistant, few handlers, and as little red tape as possible. "In 'Me, Inc.', the marketing and finance wizard gives aspiring entrepreneurs the critical tools they need to succeed. Simmons teaches you how to build a solid business strategy, harness the countless tools available in the digital age, network like hell, and be the architect for the business entity that is you. Inspired by 'The Art Of War', 'Me, Inc.' is organized around thirteen specific, easy-to-understand principles for success, drawn from Simmons' own triumphs and failures. From finding the confidence necessary to get started, to surrounding yourself with the right people, to knowing when to pull the plug and when to double-down, these principles can help you attain the freedom and wealth of your dreams." Although Simmons has long portrayed himself as the brains behind KISS, his bandmate Paul Stanley's memoir, "Face The Music: A Life Exposed", paints a different picture, with Stanley claiming that Simmons was always more concerned with the Gene Simmons business. According to Keith Spera's review of "Face The Music" in The Times-Picayune, Paul writes in the book that he, along with his therapist at the time, realized in the 1980s that KISS' financial managers were acting in bad faith. Other managers — not Simmons — encouraged diversification into a wide and lucrative range of merchandising opportunities. "I saw the term 'marketing genius' used in reference to Gene quite frequently . . . [and] it turned my stomach," Stanley wrote of Simmons. "Neither Gene nor I has had an active hand in any significant deals. "He was no marketing genius. He just took credit for things. It was unwarranted, selfish, and hurtful, and there was no way to excuse it. Calculated strategist? Sure. Genius? No." Despite the barbs directed at Simmons, Stanley said in a recent interview that his longtime bandmate and business partner "had no arguments with" the comments Paul made in "Face The Music". "We've always been very honest with each other," insisted Stanley.